Frank Scholze has been Director of Library Services at the Karlsruhe Institute of Technology (KIT) since January 2010. KIT is the merger of the University of Karlsruhe and one of the National Research Centres within the Helmholtz Association. 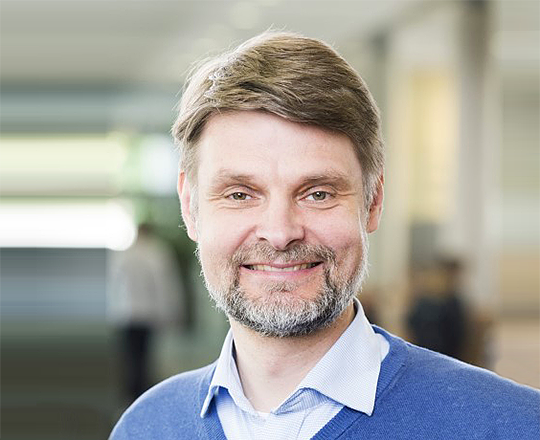 He is a federal board member of the German Library Association (dbv) as well as a member of a number of scientific boards and councils (among them German Classification Society, FIZ Karlsruhe and DARIAH-DE). Frank Scholze chairs the DINI (German Initiative for Networked Information) working group on electronic publishing and has been involved in a series of digital library projects. Before he joined the KIT, he was a programme manager at the Ministry of Science Research and the Arts Baden-Württemberg and Head of the Public Services Department at Stuttgart University Library. He holds an MA in Art History and English Literature and a BSc in Library and Information Science.